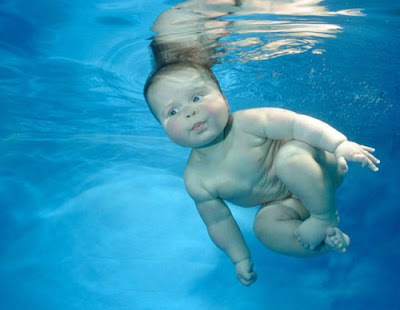 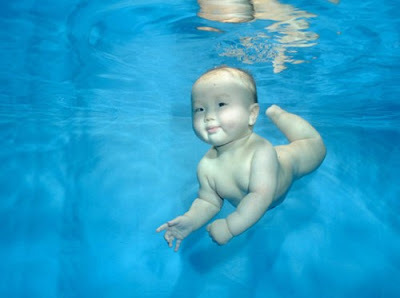 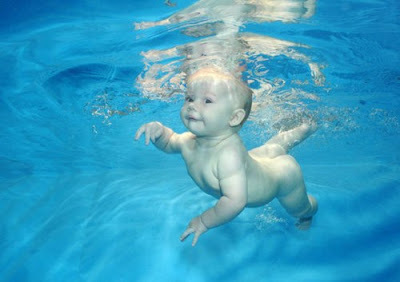 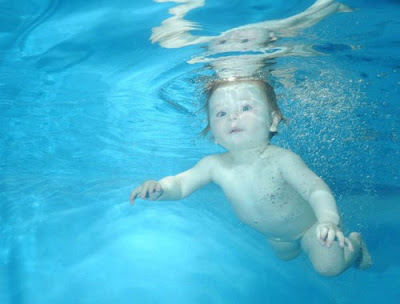 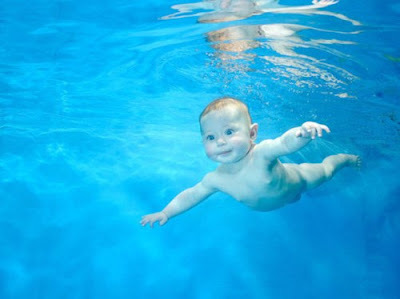 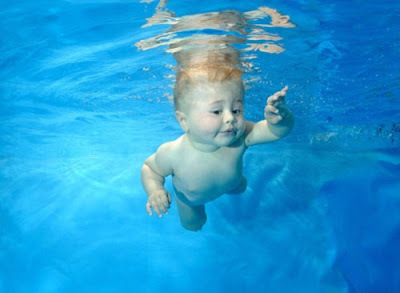 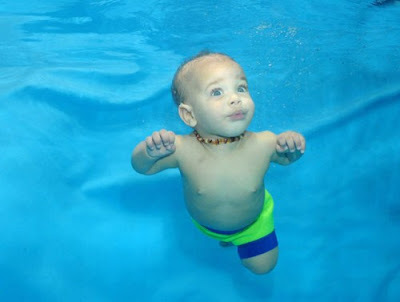 As you can see, babies are natural swimmers and can be underwater without a problem. 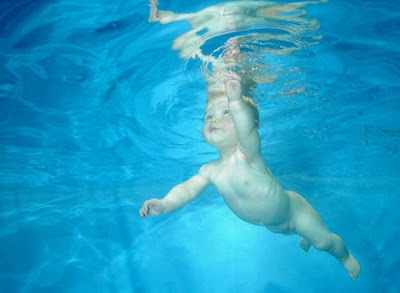 The thing is that “Up until the age of around nine months babies have a miraculous gag reflex which blocks off their windpipes as soon as they are underwater, allowing them to instinctively hold their breath,” explains Phil Shaw, the founder of London Baby Swim. 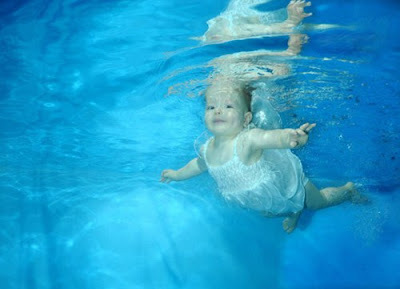 So, the sooner you put your baby into the water to learn it to swim the better. 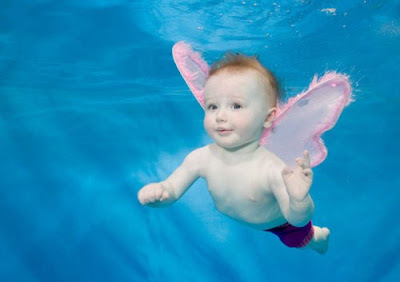 Those pics of babies swimming are really so cute. 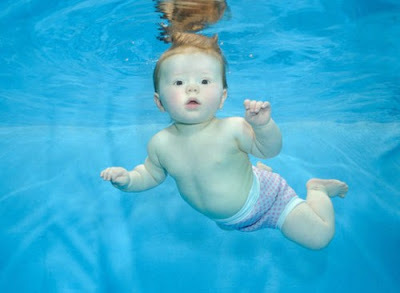 They are just adorable.